Leasing is a better option for Greater Lawrence area drivers who want a temporary option or a lower monthly down payment, but there are also perks to owning should you choose to finance a new car. Let’s look into the pros and cons of buying vs. leasing by answering some common questions you might have before you browse our new inventory available near Methuen. Q: Which option has a lower down payment, leasing or financing? A: Leasing a new Honda is an affordable way to access a higher value vehicle for less, because leasing requires a lower down payment or may not even require a down payment at all. When you lease a car, your monthly lease payments are often lower than financing which requires monthly car loan payments. Q: Which lets me keep my car longer, leasing or financing? A: For drivers who want to use a car until it’s ready to retire, the better option would be to finance your Honda. Once you’ve completed your payments, you own your vehicle– you can either trade in your vehicle for another or keep on driving it once you’ve gained equity. Q: If I want to keep up with the latest tech features and releases, should I buy or lease? A: Leases typically last three years or less, so you’ll be able to regularly access the newest features like Honda Sensing™. You’ll always have the option to choose another vehicle when your lease ends, so you can experience the latest technology features as they release. Q: When I lease a car, can I customize my car and install accessories? A: By leasing a car, you cannot customize it because the car technically belongs to the dealership. Financing a car gives you the freedom to make any changes and personal touches. If you want to personalize your Honda and install accessories, consider buying instead of leasing. Q: Which has the lowest maintenance cost and repair cost? A: If you want to skip the trouble of dealing with long-term car maintenance, leasing is a great option. Aside from getting regular oil changes, you won’t need to worry about most repairs because your vehicle will be under warranty during the lease period. Q: If I drive long distances often, should I lease or buy my next car? A: If you plan on putting on a lot of miles on your new Honda sedan, you’ll want to choose to finance. Most lease deals come with mileage limits that might end up being a hassle if you want your driving situation to accommodate your everyday commute as well as the occasional trip further north of the Greater Lawrence area or a long distance moving day. 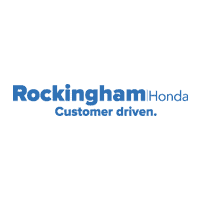 When you’re ready to choose your next Honda truck or car, make the trip to Salem right outside Lawrence to see your favorite models in person. Before you visit, check out our current special offers. If you have any more questions about leasing or financing, don’t hesitate to contact us at your convenience.